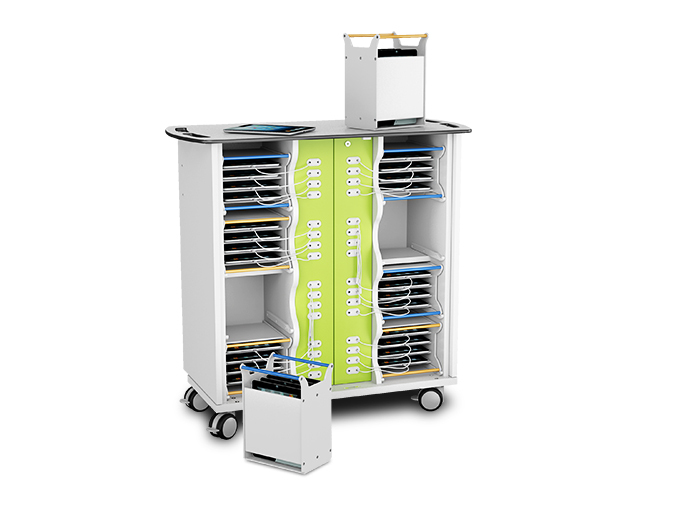 Classrooms, breakout areas and anywhere you’d like to be able to carry, transport, store, charge & sync sets of iPads. 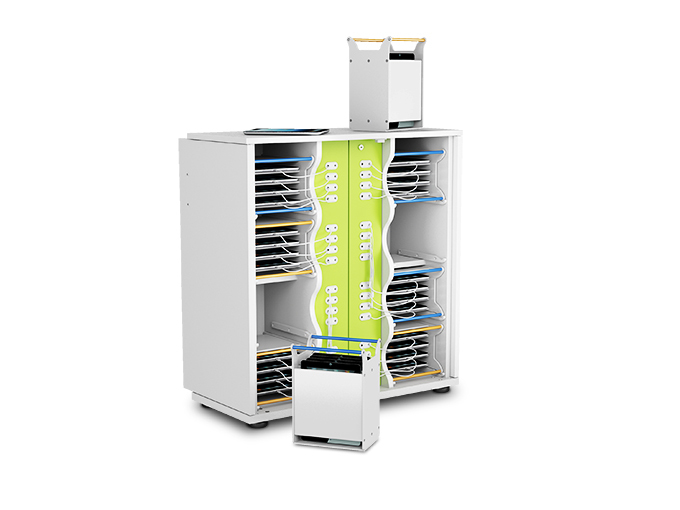 The zioxi iPad basket trolleys provide charging, universal sync and secure storage for 16 or 32 iPads and tablets. 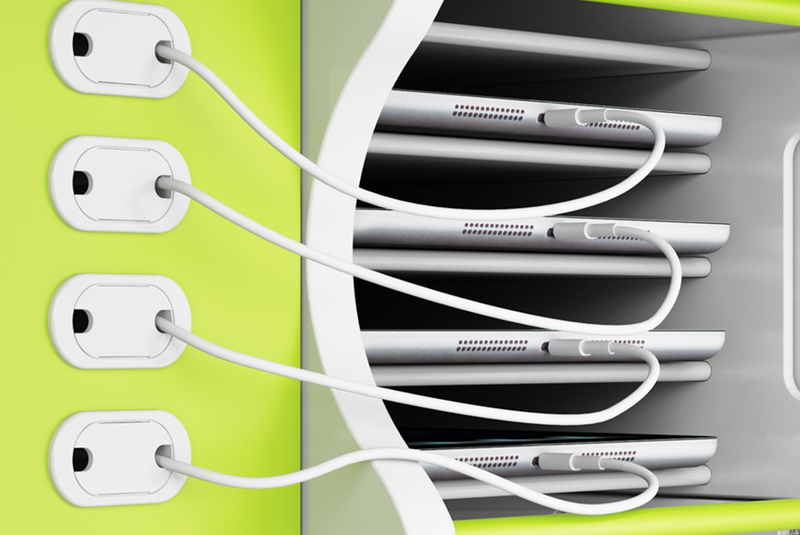 Each portable iPad carry basket accommodates 4 iPads and USB Tablet devices in any standard case design. 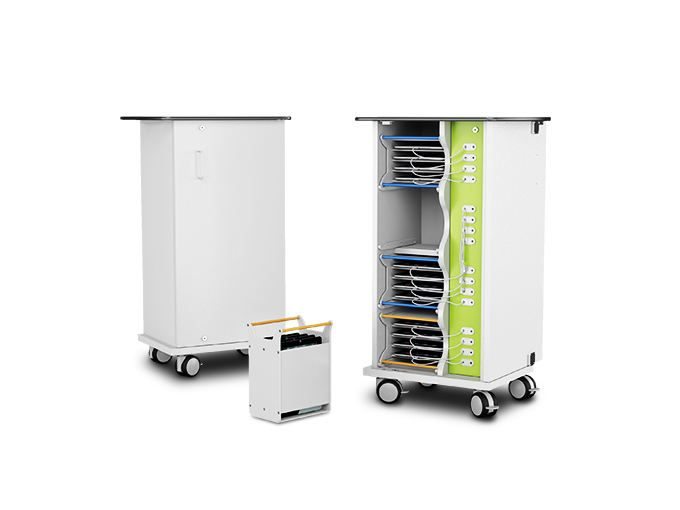 With the carry baskets in the iPad trolley, only a short length of USB cable is presented to users for each tablet, keeping the trolley neat & tidy and the cables well out of the way. 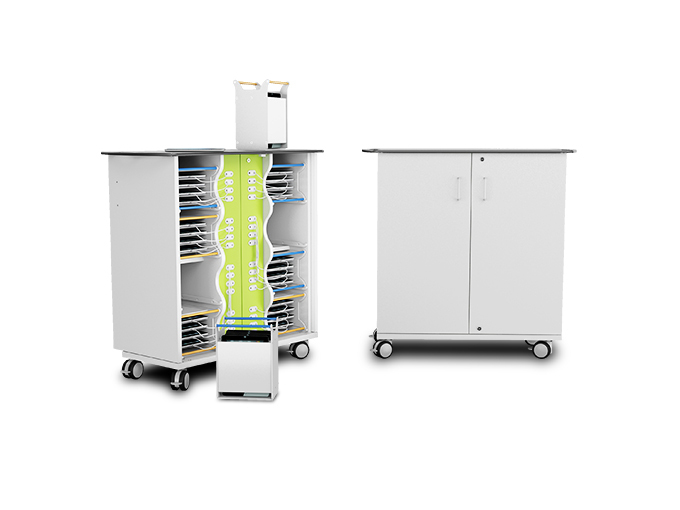 Also available in Charge & Store Basket variants, as a static cupboard or integrated into an zioxi TeacherWall. 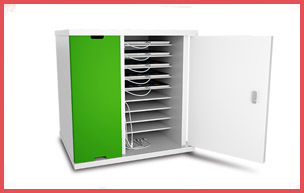 The zioxi iPad carry basket – the easiest way for carrying your iPads around your school’s classrooms.